Are you an early years educator? Would you like the opportunity to discover new and informative techniques and methods in the childcare industry? Then don’t miss out on your chance to book your free tickets to one of our Broadway Events Childcare Expo occasions. Our childcare early years development events are the best in the business, and we know you will have a great time. If you work in the early years educator industry, you will really benefit from coming to one of our Childcare Expo Broadway Events taking place in 2017. New methods for delivering exceptional childcare services are discovered every year, and at Childcare Expo, we believe in sharing all of the new methods with others in the industry for free! When you are passionate about being the best educator in early years development, our exhibitions will benefit your improvement exponentially. We have dozens of the leading educators in the early years sector performing lectures and seminars that will provide you with a wealth of inspiration. At our early years educator Broadway Events, you will find new and inspiring approaches to providing childcare. All of the new ideas and products on show will truly enhance the learning experience of the children in your care. 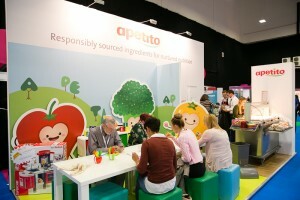 Every year, we play host to three Childcare Expo events, in London, Manchester and the Midlands, respectively. In 2017, our London exhibition is taking place during the 3rd and 4th of March. Our Manchester exhibition is occurring on the 16th and 17th June. While on the 29th and 30th of September, our Midlands Childcare Expo will be happening. We believe that bringing children to our events is the best way to see and test the new products available. Therefore, we always welcome families of our early years educators to visit. We have dedicated areas for children to play, so when you want to enter a seminar discussion, there is a safe space for your little ones to have fun. If you are an educator in early years, and you have developed a product that you would like to exhibit at one of our exhibitions, simply fill in our exhibiting request form. You could receive a fantastic sponsorship opportunity from our lecturers or attendees to help launch your products into the childcare market. Discover new and exciting ways to be the best early years educator you can be, at one the Childcare Expo events hosted by Broadway Events. Register today for your free tickets to any of our Broadway Events; we look forward to seeing you there!